As many as 1,393 people submitted requests to be barred from Malta’s casinos and other land-based gambling venues in 2017, local news outlet Malta Today reports citing official data by the Malta Gaming Authority. The reported figure represents a 9% increase from 2016 when 1,277 such requests were submitted. MGA revealed that more than a half of the submitted self-exclusion requests were for a six-month period and the rest were for a period of one year. Only one request was for indefinite self-exclusion from Malta’s brick-and-mortar gambling facilities. Every gambling operator holding a license from the Malta Gaming Authority is required to offer a self-barring option to its customers under the Self-Barring Directive of 2011. The island nation’s self-exclusion program is among the tools adopted by local regulators to minimize the negative effects of gambling. According to the MGA report, around 76% of the individuals who opted for self-exclusion last year were Malta nationals. A number of non-Maltese casino patrons and customers of the island nation’s other land-based gambling venues submitted self-barring requests, as well. Italians represented 4% of the latter group, following by Syrian, Bulgarian, Romanian, and Somali customers who each represented 2%. The MGA found that players choosing to self-exclude from casinos have been getting younger over the past several years. Official data showed that while 35-45-year-olds were most likely to request self-barring in 2015, 18-24-year-olds and 25-34-year-olds accounted for nearly half of the requests submitted last year. Male casino players remained the predominant group of self-excluded customers in 2017, accounting for 71% of all requests. As mentioned above, online gambling operators are, too, required to provide their customers with the opportunity to self-exclude. The MGA’s recent report showed that around 790,000 self-barring requests were submitted by players and bettors gambling at Malta-licensed websites in 2017, up 5.3% from a year earlier. 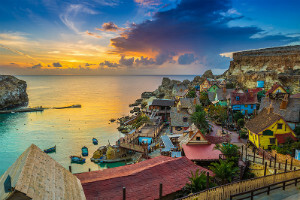 It has been an important year for Malta and its gambling industry, as its new Gaming Act, long in the making, was finally approved by local legislators, passed a three-month standstill period, during which it was reviewed by the European Commission, and took effect on August 1. 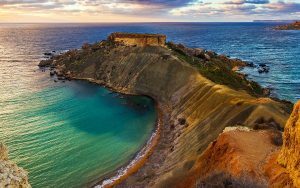 The newly implemented law aims to cement Malta’s reputation as a preferred online gambling hub and to simplify certain processes related to that. The simplification involves the replacement of the old licensing system that required gambling companies to obtain licenses for each of the services and products they provided with one that would only include two categories of licenses – B2B ones and B2C ones. The new Gaming Act also extends MGA’s powers over the regulation of the sector so that the body be able to introduce stricter tools and measures for monitoring and combating money laundering, terrorism financing, and other criminal activities often associated with the gambling industry.